UQ has Easter break beginning Friday, March 29th (Good Friday) until Sunday, April 7th. I have a huge assignment due on the 8th so I only went for a little getaway weekend to the Sunshine Coast before hitting the books. My Rotary host parents were so kind and offered me their beach unit for a few days! That is an offer you CANNOT refuse. My girlfriends and I packed our bags and were ready to head to Caloundra which is about an hour away from Brisbane but throw in public transportation and add an additional hour! The weather was absolutely perfect and I spent most of my time at the beach and soaking in the rays with plenty of sunscreen. 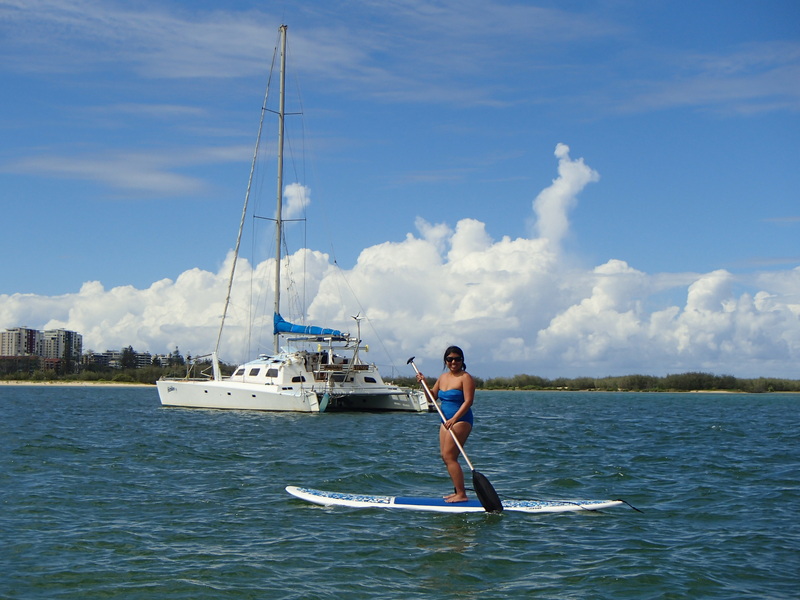 A huge one for the bucket list that I accomplished was learning how to Stand Up Paddleboard (SUP). It’s apparently one of the fastest growing water sport in the world. We rented from Golden Beach Hire who were fantastic guys from America and Canada. Since it wasn’t too busy, they let us rent them for a bit longer than usual! They gave us a brief overview on how to use the boards and then let us go. I was so surprised at how quickly I picked up the ability and had the best time! It’s easy to do. Just bend your knees and use the paddle as if you were kayaking. SUP is like the marriage between surfing and kayaking. One of the fun aspects of traveling is the chance to discovery the delicious food in the area. After a bit of research, I found Indiyum Indian Restaurant which is an Indian restaurant that also offers Mexican-Indian flavored dishes! We scored on this find because the food was incredible. 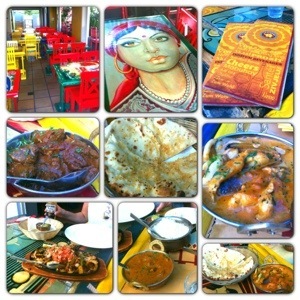 We shared four different curries: seafood korma, chicken tikka masala, angry madras beef curry, and the lamb roganjosh. We also ordered one serving of chicken fajitas, rice, two garlic naans, and the bacon cheese oregano naan. The food was the perfect amount! The staff were super friendly and attentive. Definitely go if you’re in the area. You can’t help but feel relaxed and take in all the beauty that surrounds you. I hated to leave but reality had set in. I must go and find trends in my Dossier. Enjoy a few photos from the weekend as I go off the grid to write my essay! Terry, how funny. I just met a Rotary (member?) that is here in NYC FROM UQ! Seriously!? Awesome! Are they a Rotary Ambassadorial Scholar studying in NY or a Rotary member? How long will they be there? So great to hear from you. How are you? That is so awesome! Please connect us if you see her again. I ❤ UQ. So happy you're well and in NYC!! Thank YOU for reading my blog.